Online local business search engine Just Dial Ltd recorded a 6% rise in net profit for the quarter ended 31 December 2016, weighed down by higher costs. The company posted a profit of Rs 27.4 crore for the third quarter compared with Rs 25.9 crore a year earlier, it said in its earnings statement. Net profit, however, was lower than the Rs 29.62 crore the company had recorded for the quarter ended September. Operating revenue for the third quarter grew 8.5% to Rs 180.27 crore from Rs 166.2 crore a year earlier. Total expenses climbed to Rs 165.2 crore from Rs 142.65 crore. "We managed to execute well despite some headwinds during the quarter. With a refresh of our product portfolio, we believe we can continue to improve user engagement and provide greater value to our customers," said VSS Mani, managing director and CEO at Just Dial. The number of campaigns Just Dial conducts for its paid advertisers rose 20% from a year earlier to about 4,24,830 as of 31 December 2016. The database of listings grew 7% to 17.3 million. 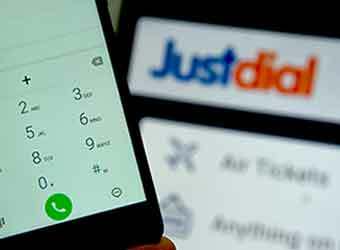 Just Dial, founded by Mani, is one of the few digital businesses to get listed on stock exchanges; it floated its initial public offering three years ago. Its stock price peaked at Rs 1,800 two years ago but has slumped since then. It now has a market cap of Rs 2,581 crore. In October last year, Just Dial's chief technology officer RV Raman had quit the company. He had joined as CTO in January 2016.